Join Bron and Special Guest Matt from Blonde Robot who will be bringing Tamron Macro, Wide Angle and Longer Lenses to try. We will spend afternoon exploring Lillydale Lake with countless photo opportunities, and guided tuition along the way. Participate in a Scavenger Hunt with various tasks to complete using a variety of Tamron lenses. The focus of this LOL is to gain more confidence with your camera and Manual Settings. Where: Meet in the Main Carpark at Lillydale Lake. Suited to beginners to enthusiasts with DSLR and mirrorless cameras. Learn on Location Photography Class with Bron from Camera House with Special Guest Alan representing Samyang Lenses and Benro Tripods! Meet at ACMI located at Federation Square. We will then embark on an adventure in and around the famous Hosier Lane. The focus of this LOL is to participate in Funky Portraits and Wide Angle Views of Street Art around Melbourne. We will have a variety of Samyang Lenses to try out. Featuring the Portrait 85mm f/1.4 lens. Celebrating the release of Nikon & Sony Mounts including already released Canon Mount as well. 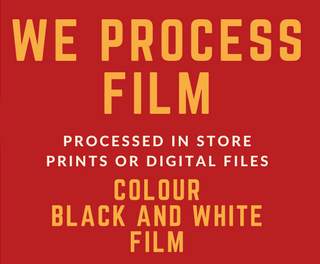 Explore the surrounds of colourful street art and the variety of Wide Angle & Fish Eye Lenses we will have available for you to use on the day. Our sell-out Learn on Location classes are very popular, as we take learning out of the classroom and make the most of various locations. Grab your camera and sense of adventure on our Learn on Location with lots of laughs and lots of love! What an exciting lesson it was…taking learning to the next level .. UP! 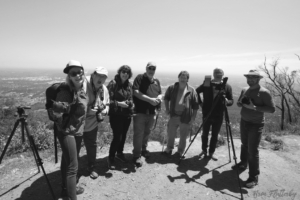 We had a fantastic bunch of enthusiastic learners who all embarked on a journey with their cameras and into the wondrous forest lookout locations of Olinda, Mt Dandenong. We stared with the basics, navigating various camera settings for landscape photography and worked our way through the challenges the weather can create. Perfect conditions? Very rarely – we have to compensate a lot of the time. This is where the use of a Haida Graduated & Polariser Filters can come in handy. When the sky is too bright and overexposed – the filters helps a lot! Our start point was RJ Hamar Reserve, then we were up for more adventure so we made our way to Burkes Lookout, Mt. Dandenong. The view was a little hazy, but this was a great excursion anyway. We concluded with a group photo and then enjoyed a light lunch together at the local bakery. Thanks to all who participated, in this one of a kind LOL – Learn on Location with Lots of Laughs and Lots of Love!